Is your property looking a little, well… dated? Are potential tenants flocking to newer or recently updated communities in your area? Is the paint so faded you have a tough time even remembering what the original exterior colors were? If so, it may be time for a repaint! It has been more than 10 years since you last painted — If you have to think about the last time your property was painted, it’s definitely time to take action. 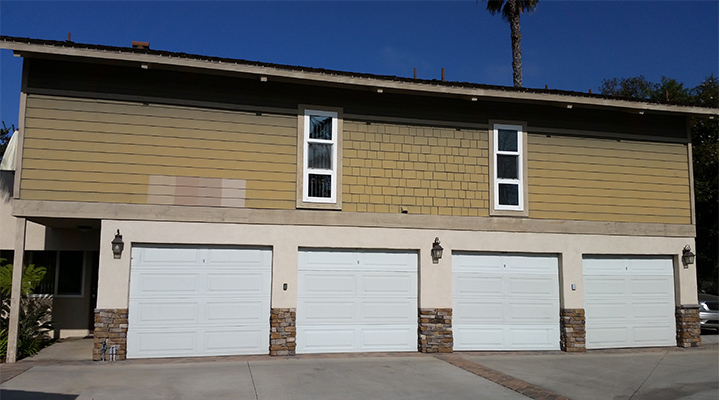 Faded paint — Has your siding faded like in the photo below? Obvious signs of fading mean you’re due for a paint job. Just be sure you use an ultra-premium coating system such as EVERSHIELD®. Dated colors — Is your property stuck in the ’90s, with “Miami Vice” colors (peach or peachy tan and teal) or a “woodlawn” color scheme (tan and green)? Or, perhaps that gorgeous brown trim from 15 years ago now appears pink? If the word “flamingo” describes any of your current colors, it’s time to refresh. New color trends — No, it’s not possible to keep up with all new color trends as they appear. But, if your property's color theme is like any of the above, it’s definitely time to change things up. Even more so if surrounding properties have been significantly updated. Changes to the property — New awnings, building additions, etc., can clash with your current color scheme. 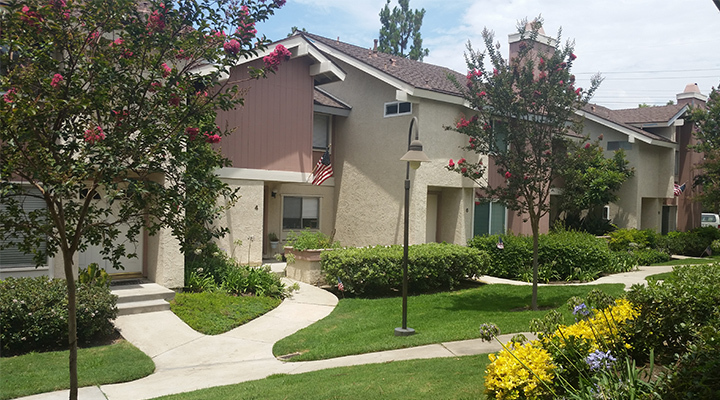 A repaint in a new color scheme will bring cohesiveness and a clean look to your property. Ownership change — Often, a new owner will want to “put their stamp” on a property by updating it to a style or color scheme they prefer. Creating new, updated branding — Having trouble getting new tenants? A color scheme change goes a long way to re-establishing your property in a crowded marketplace. Wayfinding — When a business’s entry is difficult to find because of a building’s design, adding a pop of color can help point customers in the right direction. In addition, if an entrance has moved, it can be helpful to add color to the building or entrance so potential clients can find their way to you. Damage to building — Depending on the severity of the damage, this could mean a small re-paint or a complete revamp. 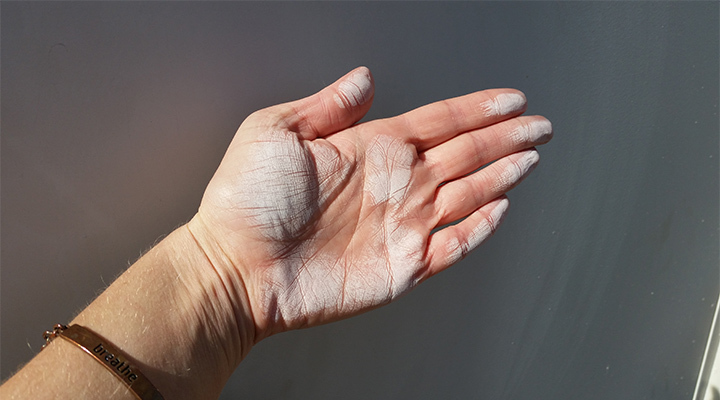 Chalking — When a fine, white powder appears on your paint’s surface, it means chalking has occurred. This condition is often due to weathering. 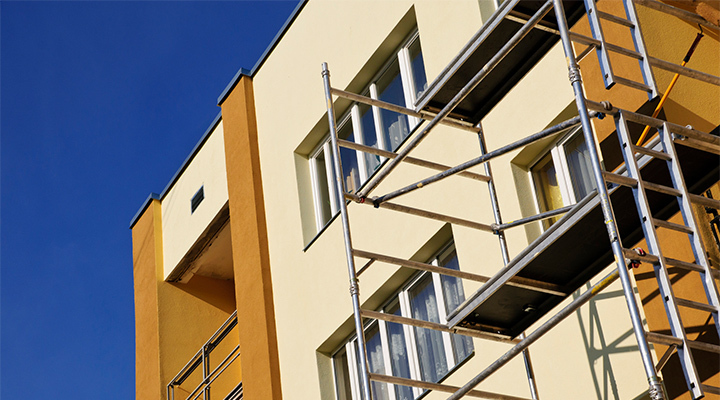 It can make your property look dated, which means it’s time to repaint. Why not update your colors at the same time? Highlight accents on buildings — Is your property too monochromatic? You can pump up your community or commercial property by using color to highlight the building’s architectural features, such as trim, doors and shutters. This is also a great solution if you don’t have the money for a complete color overhaul. The decision to spend the time and money on a color refresh can be difficult. Perhaps it’s time to take a good, hard look at your property to see if the potential for new customers or tenants outweighs the costs!